Oldtown is a location in Bloodborne. An old district in the valleys of Yharnam. Because the beast's disease grew too prevalent, the district was abandoned and set to flame. 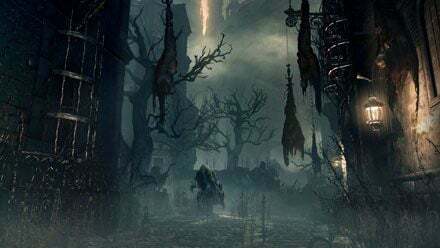 The citizens of Yharnam have forgotten the town -- or try to have forgotten it -- but the starving howls that rise from the valley occasionally remind them of that sin.